The post-lockout hullabaloo created several big cuts, but for one of the first times this offseason, we have a cut that’s motivated not by money but by personality. The Vikings cut starting OLT Bryant McKinnie and will replace him with ex-Colt Charlie Johnson. McKinnie, a former top 10 pick, has been a fixture at left tackle for the team, starting basically full-time since his rookie season in 2002. He’s a massive guy who, at his best, was also surprisingly athletic. But he hasn’t kept his weight in check in recent years, and he’s had a list of off-field incidents that indicate that he’s not as committed to his career as he needs to be. 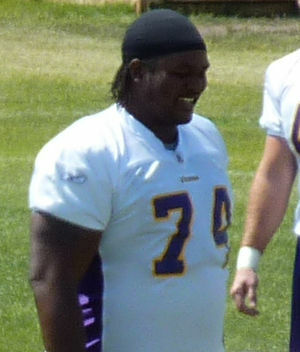 When McKinnie reported to camp way out of shape, the Vikings signed Johnson, who started at left tackle for the Colts in 2008-09, and then subsequently released McKinnie. The move saves the Vikings more than $5 million against this year’s cap, but even more it saves them the consternation of dealing with a player whose performance has slipped in recent years while his entitlement grows. It would be easy to blame McKinnie’s release on the lockout, but the truth is that the bloom has been falling off the rose for McKinnie and the Vikings for a long time. Now McKinnie must prove that he cares so that another team will give him a chance to get more out of his still immense talent. After a few weeks off to focus on other news, go to Wayfarer Camp, and go on vacation, we’re returning to our Finding a Fit series. 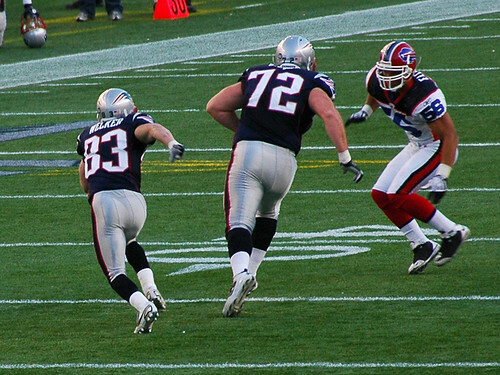 Our last edition focused on a right tackle, and now we swap sides to focus on Patriots OLT Matt Light. This is the seventh edition in a series that will continue as long as the lockout drags on. In this series, we’re going to look at free agents and try to match them to their perfect fits. We’ll consider opportunity, skill specificity, personality, and even money as we do this. Previous Finding a Fit features focused on Matt Hasselbeck, Nnamdi Asomugha, Ray Edwards, Aubrayo Franklin, Plaxico Burress, and Tyson Clabo. Click through to check those out, and if you’d like to suggest a player for finding a fit, leave a comment or let us know on Twitter. 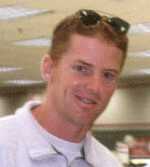 Light, a second-round pick in 2001, emerged as a left tackle starter right from the start, and as a rookie helped the Patriots to their first Super Bowl win. For the rest of the decade, Light remained a fixture at left tackle, eventually growing into a Pro Bowl-level tackle. With three Super Bowl rings and three Pro Bowl berths, Light is one of the great Patriots of the Bill Belichick era. Light was never a dominant player like teammate OG Logan Mankins is, but he was incredibly dependable in keeping Tom Brady upright and in opening holes in the run game. But with a decade of play under his belt, Light’s best days are now behind him, and the Patriots have invested high draft picks in young tackles Sebastian Vollmer and 2011 first-rounder Nate Solder in recent years. So it appears Belichick has a succession plan in place at left tackle. Now Light, as a 10-year vet, has the chance at one more decent contract. 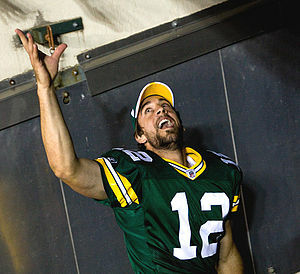 The question is whether it will come in New England or land him elsewhere as a free agent. New England – The Patriots could keep Light, who would provide a level of security for a team that remains a top contender. But with Vollmer and Solder in place, it’s hard to imagine New England anteing up all that much money or more than a year or two in a contract. Light will find a better offer elsewhere, which means he’ll only be a Pat if he decides to take less money to do so. Buffalo – The Bills have spent high draft picks on interior linemen Eric Wood and Andy Levitre in recent years, but their tackles are huge problems. OLT Demetrius Bell has physical ability, but his level of play has been less than stellar. Light would be a perfect addition because he brings a veteran presence that they don’t have right now as well as intimate knowledge of a division rival. It’s kind of hard to imagine Light moving into a mentor role for a lowly team after so many years of contending, but if the Bills make him a priority the money may be too much to pass up. Kansas City – The Chiefs have former first rounder Branden Albert in place at left tackle, but Albert’s play there hasn’t been great. 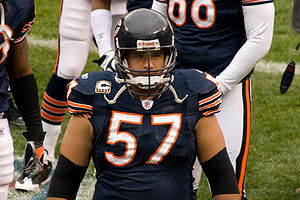 Albert can also play right tackle, where he would be a big upgrade over incumbent Barry Richardson, and so adding Light would allow the Chiefs to upgrade at two positions, at least for the short term. Chiefs GM Scott Pioli, who spent many years with New England, has shown that he likes to bring in ex-Pats, so Light makes sense on that level as well. Adding Light on a two- or three-year deal makes a lot of sense for the Chiefs. Atlanta – Like the Chiefs, the Falcons are led by an ex-Pat at GM with Thomas Dimitroff. The Falcons also have three starters on the offensive line hitting free agency in ORT Tyson Clabo and OGs Harvey Dahl and Justin Blalock. If Clabo leaves for bigger money, adding Light and shifting former first-rounder Sam Baker to the right side might be a solid, less expensive alternative. Baker hasn’t been a great player at left tackle, but his size could allow him to develop more on the right side. You’d have to think that keeping their own would be Atlanta’s priority, but if Clabo leaves Light enters the realm of possibility. Pittsburgh – The Steelers went through left tackles like crazy last year after Willie Colon and Max Starks got injured. Now both players are free agents, which leaves a left tackle hole. But Light doesn’t fit the Steelers’ profile of massive linemen, and Pittsburgh’s selection of Marcus Gilbert in the second round seems to be a fallback if Colon and Starks both leave. This is a case where need and player don’t match. Minnesota – The Vikings struggled mightily up front last year, as OLT Bryant McKinnie was inconsistent and young ORT Phil Loadholt took a step back. But like the Steelers, the Vikings have tended toward massive tackles, and Light’s not one. If the Vikes want to restart their offensive line, Light could be a factor, but the fit doesn’t seem to make sense. 1. Kansas City – The Chiefs have the combination of need, style, and contention that could be enough to attract Light away from New England. 2. Buffalo – The Bills aren’t contenders, but they’re the team we could see opening up the wallet to overpay Light. 3. New England – If Light doesn’t want to move, we could see the Patriots bringing him back on a one- or two-year deal. But Light will have to take less money to stay in New England.